their skills and the power of teamwork against the hordes of unthinking undead! 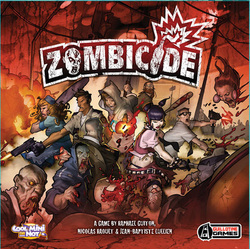 Zombies are predictable, stupid but deadly, controlled by simple rules and a deck of cards. Unfortunately for you, there are a LOT more zombies than you have bullets.